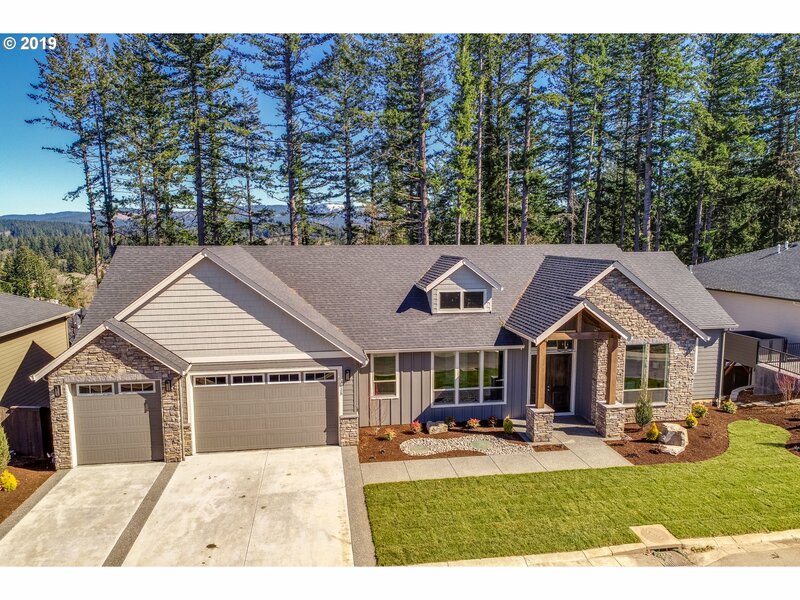 All Camas homes currently listed for sale in Camas as of 04/19/2019 are shown below. You can change the search criteria at any time by pressing the 'Change Search' button below. If you have any questions or you would like more information about any Camas homes for sale or other Camas real estate, please contact us and one of our knowledgeable Camas REALTORS® would be pleased to assist you. "Chance to own/develop a rare 55 acres of Lacamas Lakefront property. Zoned R-12/CC. Best uses include subdivision with multiple view lots, commercial enterprise, corporate retreat, estate(s), vineyard, etc. Buyer to do due diligence. Prime location, schools, shopping, and property taxes. 15 miles to PDX, 5 miles to 192nd Ave/Costco. 2 miles to Camas High School. 800GPM well. Parcel #175774000 and #175721000." "Newly Remodeled in 2016 Exquisite Home on .49 Acres Private Cul-De-Sac w/ Breathtaking Views of Mt. Hood and Lacamas Lake. Complete w/ 6 Bedrooms (1 on Main), 5 Bathrooms, Separate Office, 9,540 square feet interior is defined by Marble and Granite Flooring throughout, Granite countertops, Korean BBQ Room connected w/ Gourmet Kitchen, a Movie Theater w/ Custom Wet Bar, Indoor Swimming Pool w/ Hot Tub & Sauna. Buyer to verify all info." 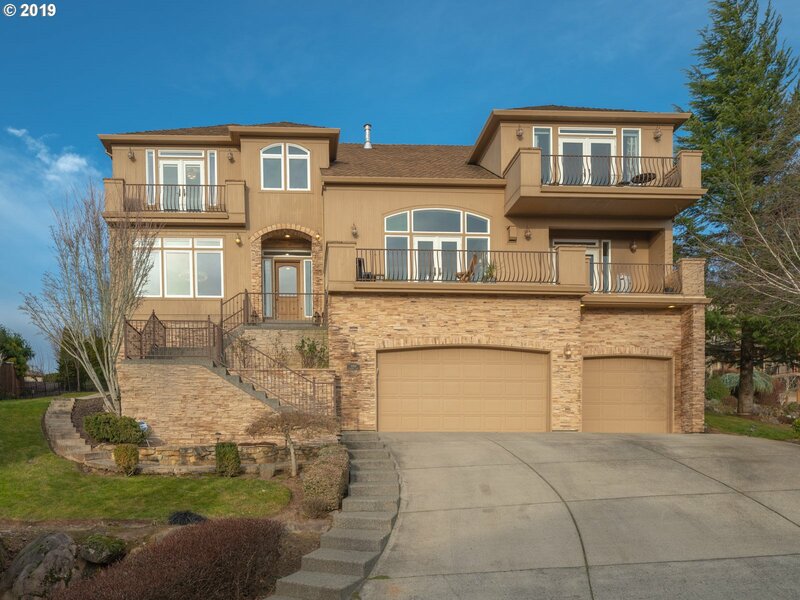 "Beautiful custom home on the Columbia River with boat dock and 35' private boat slip. Nothing short of the highest quality construction; 4 master suites, two on the main for great accessibility w/ laundry in both. Two full kitchens also on the main. Heated concrete floors throughout. Panoramic views from the 1,600 SQFT patio, and almost every room. Solar panels and .57 acres of tidelands included. Highly rated Camas schools." "A once in a lifetime opportunity. 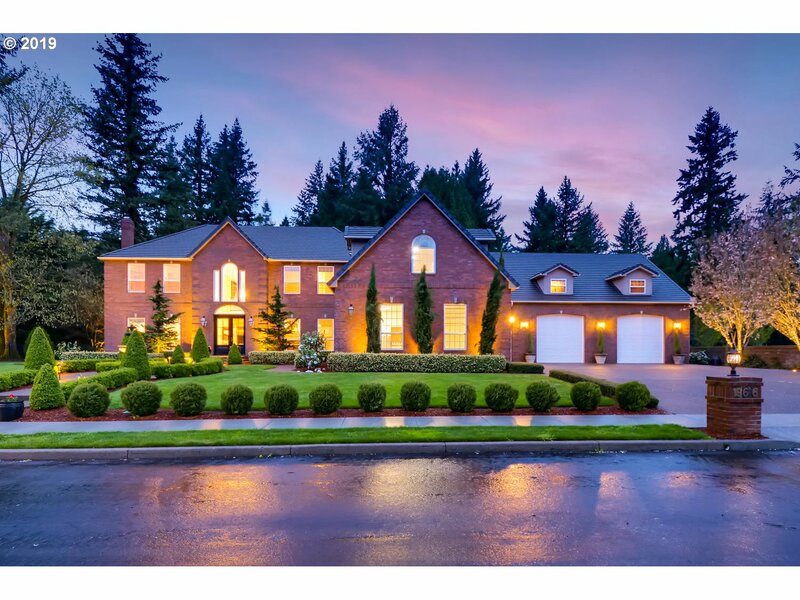 Warm and inviting Camas 1 acre estate in the center of it all! 4 Bedrooms all with en-suite bathrooms. Breathtaking, top of the line finishes throughout. Vaulted, separate lodge-like detached Mother-in-law/entertainment space with full island kitchen. Magnificent detached shop. RV parking. Boat parking. Captivating in-ground pool & spa. Outdoor kitchen. Manicured grounds. This estate truly enchants. ."
"This masterpiece enjoys a coveted spot on Lacamas Lake. The home showcases impeccable design along with a lengthy list of luxurious amenities and finishes. Complete with 7 bedrooms, and 6.5 bathrooms, it's 6,700 square feet interior is defined by hardwood flooring throughout, quartz & marble countertops, high-end appliances, expansive decks, a stunning movie theatre and numerous windows positioned to highlight the prominent lake views." "Stunning home w/ golf course & lake views. Recent remodel with excellent design. High ceil, lrg wndws. Mahogany deck. Multiple gas fp, impeccable finishes and fixtures. Lg gmt Kit w/ high-end ss apl, quartz cntrs & granite island. Ample storage & blt-ins. Master Suite on Main, marble floors & sauna. 3 addtl BRs, 2 suites. Large entertaining/Family area on lower with wet bar & wine cellar. Luxury golf course living at its finest!" "Beautiful custom home w/master w/ensuite on main level. 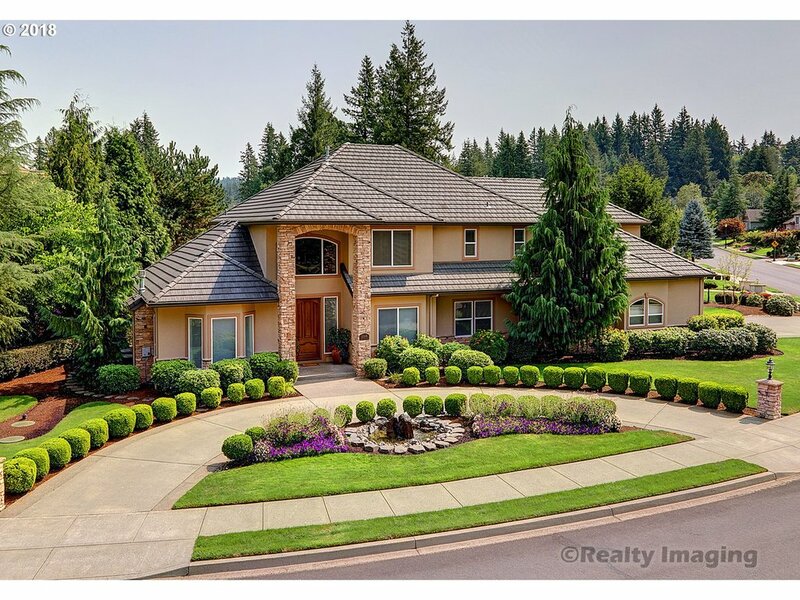 Overlooks 12th green of Camas Meadows golf course w/views of the lake! Multigenerational living is a breeze in this 6 bedroom 6.2 bath 3 level home w/separate living areas & elevator. Enjoy the sauna, swim, spa, & hot tub all from the privacy of your deck while looking out over course & lake! 1200 sqft lower level w/ storage, meditation room, gourmet kitchen, private personal pool." "33.72 Acre lot rare find in Clark Cty. Partly forested & manicured landscape where existing home sits, numerous possibilities. Different strands of Douglas Fir trees cover portions of property. While it is a working tree farm w/income producing timber, value of land comes from unique characteristics of true estate property. Best views Mt. Hood on potential building site of lot & City lights DWTN Portland prominent on horizon." "Brilliant single-level design features living areas designed around central courtyard. Open-concept layout maximizes flow and light. Tranquil undertones create pleasing environment year-round. Gourmet Kit w/ wi pantry & huge island workspace, high-end appliances and finishes. Retracting glass walls create seamless flow with outdoor space. Sleeping quarters in separate wing, retreat-like Master Suite. Guest casita w/ full bath & wet bar." "Impressive LaCamas Shores neighborhood luxury but livable home. Perched on an impressive view lot, this extraordinary home offers private and serene cover back deck with injecting waterfalls, pond and short path to the private hot tub. The inside offers you free rein with lots of rooms and spaces, some with panoramic Lake views. Use your imagination for the small apartment off the garage. At Home business office or in law quarters." "Gorgeous home w/ lake views. Detailed design and luxury finishes. High ceil, lrg wndws. Three levels of deck. Multiple gas fp, tile flooring, lush carpet. Lg gmt Kit w/ high-end ss apl, granite cntrs & eating bar. Ample storage & blt-ins. Large Master Suite plus three additional ensuite BRs. Large entertaining/Family area, Bonus space on third floor with deck, kitchenette, half bath. Walking distance from Lacamas Heritage Trail." 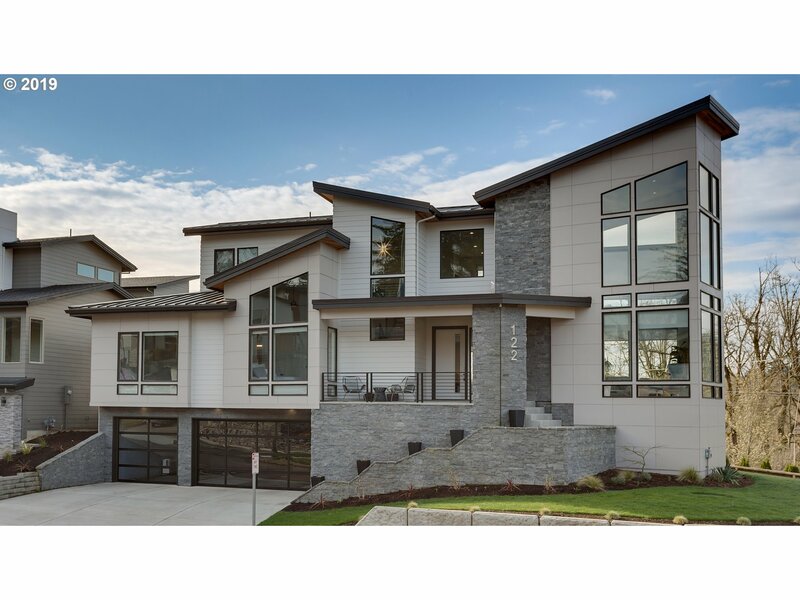 "Where architectural design, style & quality come together to form an exquisite NW Modern style home. From the soaring ceilings to the massive windows showcasing a view of Lacamas Lake, this 5 bedroom, 4 bath home was designed to turn heads. With its unparalleled custom craftsmanship & innovative design, this home offers privacy yet spacious rooms for entertaining. Conveniently located near downtown & highly sought after Camas schools." "Beautiful Daylight ranch home w/Mt. Hood views! Huge Main level master suite w/dressing rm, soak tub, in-suite fp & sitting area w/territorial views of Columbia River Gorge. 5 bed 3.5 bath, Wine Cellar w/tasting rm, Lg bonus area w/wet bar & pool table, cedar storage closet. Extremely private estate on almost 4 park like acres. Possible 3 lots on property. Could be multi generation home. Buyer to do own due diligence"
"Grand home in sought-after nbhd. Modern design, tile, high ceil, lrg wndws. Decks on 2 levels. Den/off w/fp, open LR/DR w/ w2wc & marble highlights. Open plan gmt Kit. Fam Rm, w/ gas fp & TV w/ custom surround sound. New ss double-oven & dw, lg cook island w/ seating. Technical details & luxe finishes. Master Suite on Main. 3 BRs on lower, w/ deck access & lg Bonus w/ wet bar. Poss MIL suite. Custom wine storage room. Great schools!" "Luxury in Beautiful Lacamas Shores*2 Story Custom is your next move! Master Suite on Main Floor*Upper Floor features 3 Ensuite Bedrooms*Large Bonus Room*Beautiful Finishes throughout home*Hard Wood Flooring,Granite,Upgraded Stainless Kitchen*Zoned Top Schools*Golf Camas Meadows*Lacamas Community Walking/Biking Trails,Boating,Docks & Storage*Great Shopping Nearby*Seller Allowance to customize backyard patio/fencing*Ask Agent for Details!" 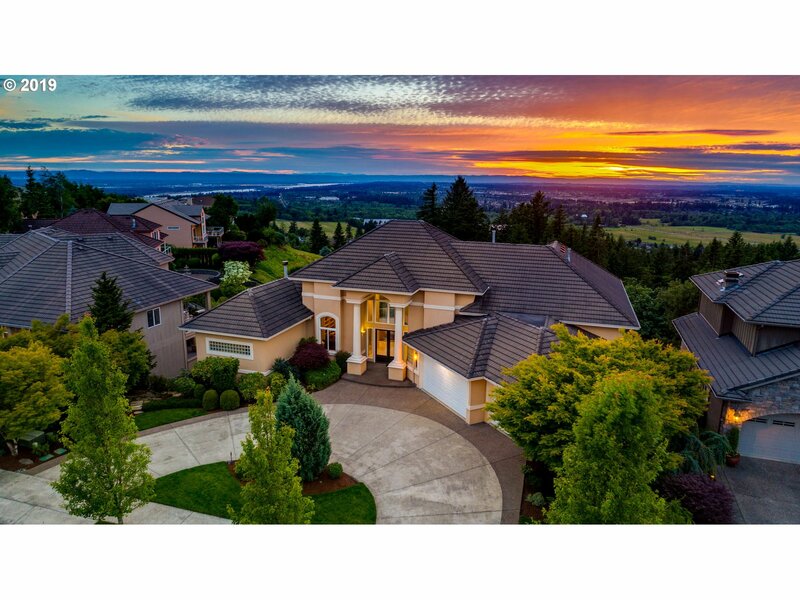 "Stunning views of the Columbia River, spectacular sunsets & an amazing lot , make 2721 NW 25th Circle an ideal place to call home. 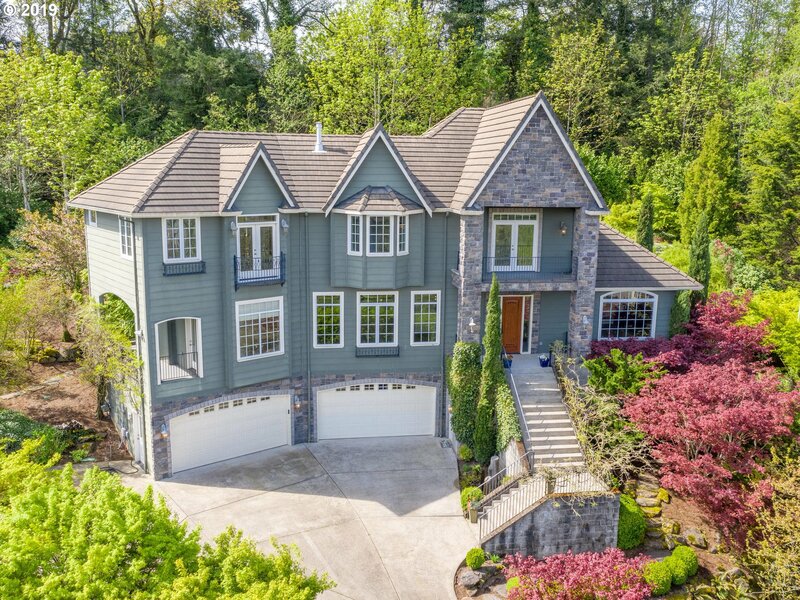 Perched on a quiet cul-d-sac and located in Camas, WA, this home will not disappoint. Featuring a spacious master suite on the main level, 3 fireplaces, a wine cellar, extensive decks, stainless appliances, granite countertops and windows perfectly positioned to capture some of the best views around." "Living is easy in this impressive 5 bedroom, 4 bath home. The open floor plan encompasses a stylish gourmet kitchen that flows to the dining room, living room & deck that overlooks a greenbelt. Every detail was carefully selected & quality crafted. Highlights include sauna, steam shower, workshop & fire pit. The master is the ultimate retreat w/ a spa-like bathroom. This home is ideally positioned to enjoy tranquility that Camas offers." "Luxury in Lacamas! Amazing golf course views. Beautiful open floor plan. Main floor features formal living and dining, Chef's kitchen, gracious guest suite and elegant office. Romantic master suite & 3 spacious BRs up, plus fabulous bonus room with wet bar and theatre. Storage abounds! Perfection for entertaining inside and out! Price Reduced!!" "4,099 SF Luxury Estate. 4-bedrooms, 3.1 baths, .22-acre lot. Den/Office, Media Room, 11' high coffered ceilings, luxury millwork & window coverings. Gourmet Kitchen, Heated Granite Island, walk-in pantry, wine-fridge & Butler's pantry, to Formal Dining. Minutes to Lacamas Shores Walking Trails, Park. SR-14 E&W 5-min, Portland/PDX 15 min, SW Hosp 15 min, Legacy Hosp 20 min. Quick move-in OR rent-back. OPN HSE SA 4/13 10A-4P SU 4/14 12-4P"
"MOVE IN READY from award winning Parade of Homes builder! This customized Mascord plan is a gorgeous home that includes incredible millwork & cabinetry, award winning finishes, slab countertops, landscaping & giant covered outdoor living area. Plus 10ft ceilings, 8ft doors, 7ft windows & stainless steel appliances, tile shower & stone accents." "Open House Sat 4/20 12- 3 pm Spectacular Grand Ridge - sweeping River views. See virtual tour. Remodeling-stunning dining chandelier, Kitchen Aid Chef Line appliances, new custom copper hood, quartz counters, pendants. Central vac, audio system plus. Lower level w/wet bar, bonus room, 5th bedroom/ full bath. Theatre Room on Lower- Master suite w/Jacuzzi tub & spacious bedrooms. Large 3-car garage, maintained in & out." "Luxury custom home in popular Grand Ridge. Home includes 1,000 sq.ft. guest suite apartment on lower level that's perfect for MULTI-GENERATIONAL living! Home is loaded with upgrades! See virtual tour. Millwork, built-ins, custom hardwood floors. Open floor plan w/gourmet kitchen, granite island, 4+garage, large bonus room. Enjoy movies in your own theatre room w/projection screen! Large & flat backyard! River view! Backs to greenspace!" "Beautiful gated home on quiet cul-de-sac feels like a mountain getaway. Expansive views from almost every room. Open, light filled floor plan. Main level features: master suite w/walk in closet & luxury bath, vaulted exposed beams, dramatic wood-burning FP, gourmet kitchen w/pantry, two large covered decks, bdrm/office & laundry. Lower level has second master suite plus two additional beds, jack-n-jill bath & family room. Camas schools!"